District: Joint 9 including Townships of Cross Plains and Springdale. Notes: 1899-1958. 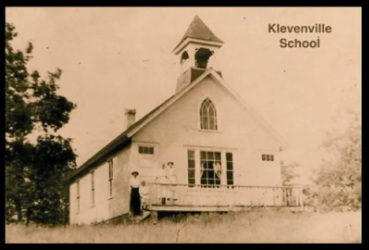 The hamlet and school was named after the Kleven family. 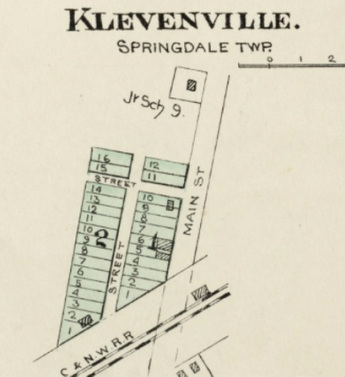 In 1899 Joint School District #9 was organized to serve children in southern Cross Plains township and northern Springdale township. 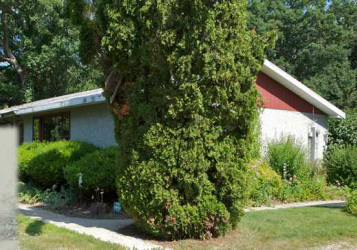 The school was built with local and state funds on land donated by Martin E. Skindrud by the Kleven Brothers. The first teacher was Rosena Anderson. The school's "Mothers' Club" formed in 1925 added a kitchen to the building on 1928. In 1958 Klevenville School consolidated with Berg and Springdale Center Schools and the students went to the multi-roomed Ridgeview School. The school became a private residence at that time.